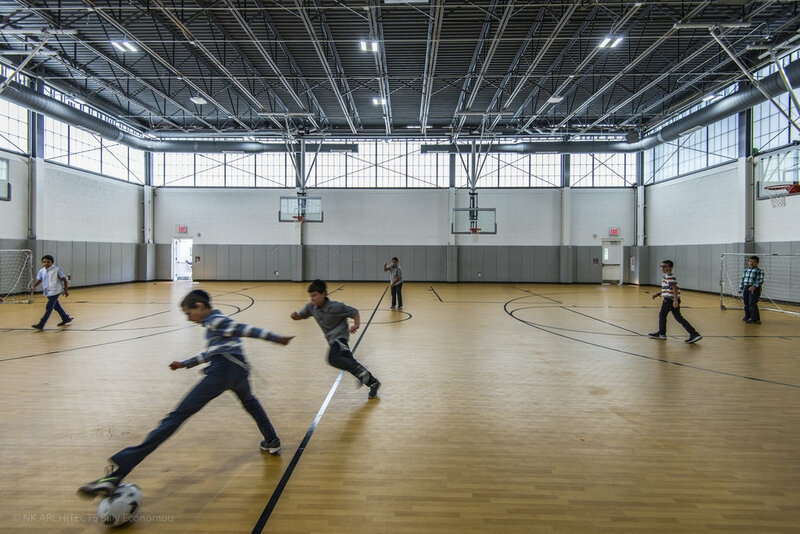 Yeshiva of Greater Monsey’s school facility integrates three primary functions: education, religion, and recreation. 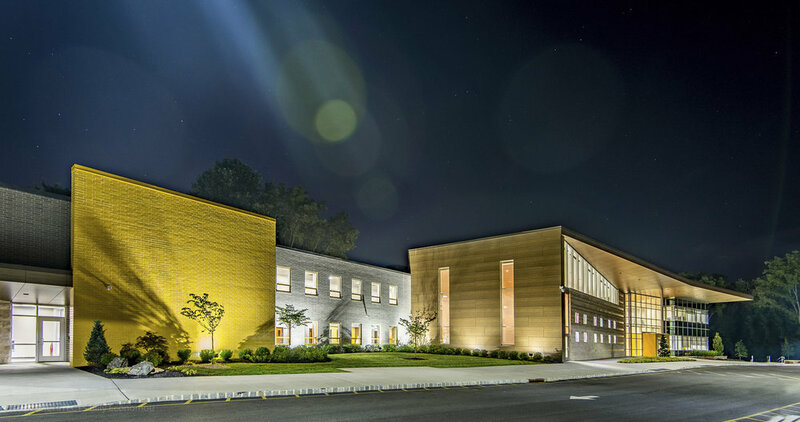 The school accommodates a total of 434 students, comprised of 82 Pre-K (Lower School) students, and 352 Upper School students, ranging from Kindergarten through 8th grade. The Lower and Upper Schools each have their own separate, distinct entries. In addition to academic classrooms, the facility also houses a library, cafeteria, gymnasium, chapel, and computer room. Functions are arranged around a central courtyard, which is directly accessible from the cafeteria and gymnasium. 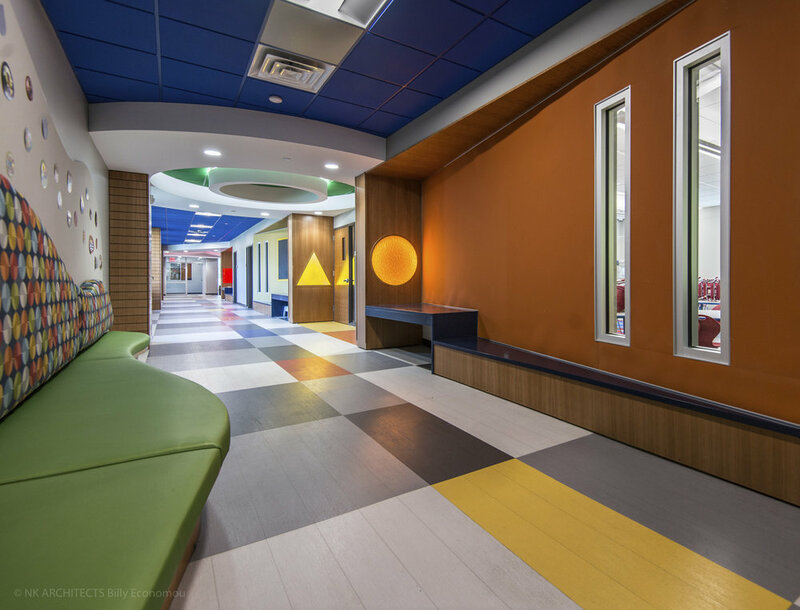 Each functional area within the facility is defined by its own color and form. 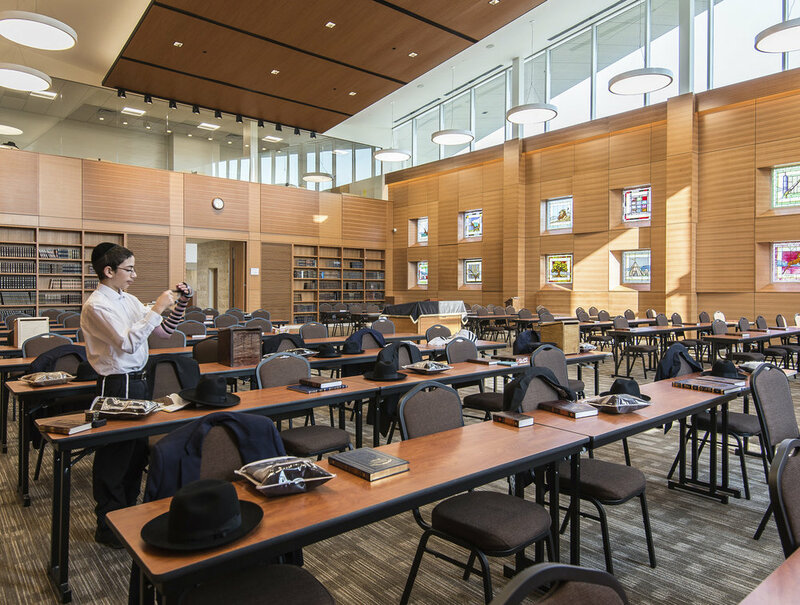 Recreational and religious spaces are available not only to Yeshiva students, but also to the Greater Monsey community at large. The chapel anchors the plan, serving as the heart of the building. Jerusalem stone, imported from Israel, clads the outer wall of the chapel, paying homage as a contemporary interpretation of the Old City of Jerusalem’s Wailing Wall. 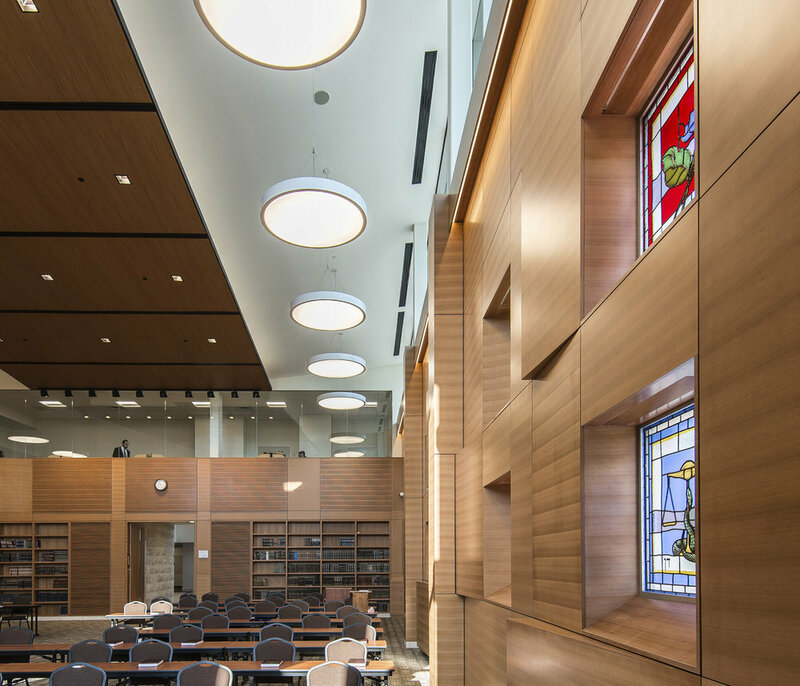 Twelve leaded glass windows, integrated within the chapel wall, each represent one of the 12 tribes of Israel.